"Two GamePad gameplay is not within our objectives in the short-term"
Prior to the Wii U's launch the company made positive noises about introducing support for two GamePad controllers in future titles, explaining that they'd eventually go on sale as optional extra controllers. It seemed like an exciting idea, despite the likelihood of a high price for the extra pads, as they'd add a potential extra layer to asynchronous and dual screen multiplayer experiences. 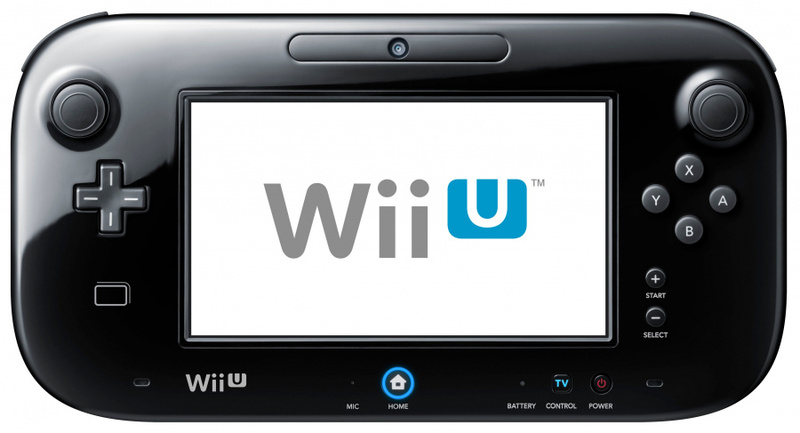 As the Wii U suffered from a slow start, however, Nintendo has gone quiet on the possibility. Due to the Wii U only initially supporting one GamePad, work to update and bring in — and sell — extra controllers was put back to accommodate more urgent projects. Shigeru Miyamoto has recently explained this to IGN, before making the point that dual GamePad support is not entirely off the table, though we shouldn't anticipate this change in the near future. Certainly as we've been working on Wii U, I think we're at a point where we don't feel it's realistic to expect people to purchase two GamePads yet. We're still trying to get as many people as possible to buy the system itself, and that's where our focus is right now. For the time being, two GamePad gameplay is not within our objectives in the short-term. From a technical standpoint, I think if we decided to pursue that, technically we would be able to and we can perform system updates that would allow for that. It's also very interesting from a gameplay perspective idea because there are a lot of possibilities with two GamePads. But, at the same time, taking that kind of approach would again be a drain on resources and require us to continue to utilize our development resources for that. So then it would become a question of where do we want to devote our resources: Is it to creating regular GamePad games, or creating games centered around two GamePads? It's a tricky scenario for Nintendo, and in the current climate we'd suggest that its priorities are correct. We should also consider, as alluded to by Miyamoto-san, that Wii U system updates would also need to divert extra horsepower to a second controller, while it seems titles would have to be specially designed to support two GamePads. Will it eventually happen? It's hard to say, though it's not inconceivable that should the Wii U enjoy a revival in fortunes we may get some games — maybe Wii Play-style bundles — that will support the feature. Would you like dual GamePad experiences in future, or is it an area that Nintendo should leave alone to focus on other priorities? Let us know what you think. Forget about that. I just want to be able to buy a spare Gamepad for personaly use, not for multiplayer. That would be a great first step! In a nutshell, nobody is buying one gamepad, why would they buy two. How would you be able to play local games of Splatoon without a second pad? I've always loved the thought of playing with two Gamepads. But their priorities are in the right place. But still the gameplay possibilities presented with two Gamepads is extremely tantalizing. I know a certain someone who will be very disappointed with this news. @EarthboundBenjy They specifically said that it won't quite be a normal '1 on 1 duel'. Probably something more like Zombi U's multi player. I'm going to echo the first comment. 2 Gamepads being used at once is something i'd like to see in the future, but what we really need are spare Gamepads sold separate from consoles! @EarthboundBenjy From a video interview by IGN, the devs said in the future, for local co-op, players will be using the Pro Controller. I'm hoping for a local Versus mode using 2 GamePads but it's hard to say and very unlikely to happen. Off-TV coop is still possible? Yuss. They should make games where the 2nd gamepad is optional. If they make a game that is centered around 2 gamepads, that game is going to flop extremely hard. Remember not everyone wants to pay a 100 dollars for a 2nd gamepad. I just hope the next big update brings some sort of media player capability for local content. My guess is that any game would not have TV display ... just two Gamepad displays. That would alleviate some of the horsepower issues. yeah, not realistic at this point, but it's good to know it's possible on a technical level. The Wii U is a beast. Agreed with Miyamoto, concentrate on the single gamepad games. Dual gamepads could be cool though as long as it's optional. Stop trying to implement the ideas for the Wii U2 (or Wii Mii 2) on the Wii U. If they put two gamepads on it now, what will they do for a followup? They should of just kept quite about the feature in the first place then maake a huge announcement at E3 when they had worked out what games could use it. How much would it cost with a game? £90? I still think they have it backwards though, 2 player co-op games would be much more sellable to the masses than 1 Gamepad, nobody gets or wants asynchonus, Nintendo Land did not help sell the Wii U. 2 player couch co-op for Splatoon or Starfox people get, fighting giant robots people get, 2 people each with their own Gamepad using amiibo people get, so they have games this would work well with, and they have the amiibo coming that need NFC yhats only in the Gamepad, waiting until Wii U sells before having a 2 Gamepad game is exactly the same logic so many people criticize Ubisoft for - we'll release games after the system sells. And the 2nd Gamepads would sell as long as they are Mario and Luigi branded with better batteries. And the Gamecube had a game - FFCC - that you needed 4 Gameboys and cables for, so Nintendo marketing extra optional hardware is not umheard of. Who knows, EA might even port Madden if dual Gamepafs were available for play calling. if Nintendo never intended to do it, they never should have mentioned it originally. Oh well, maybe they'll just let us use the next yandhelds as controllers, they'd be crazy not to. I think instead they should focus on STABILITY, STABILITY, STABILITY! @whodatninja I know, right? I have one who's thinking about it after some playtime with NES Remix 2 and The Wonderful 101. I don't think the Wii U will be able to handle 2 gamepads for resource-hungry games. MK8 couldn't even handle gamepad + TV without affecting frame rate and/or resolution. It could work for party games like Nintendo Land but it's just a waste of time for the developers and for Nintendo. They need to focus on making games first for what we have now. Although I could see it possibly being implemented on the Wii U's successor. I'd like them to sell an extra gamepad though just in case we break our gamepads. Anyway, a gamepad with HD resolution and HDMI port? so you can basically use it as a replacement for your TV screen. And I still believe it is a pricing issue. If people are not buying the system now, they won't spend another $100 or whatever the price of a Gamepad is to get the whole experience. Not to mention, if they barely have ideas for one Gamepad, then imagine having two. I would like an extra just because I almost broke the left Joystick on mine. It is not a question of if, but when my gamepad breaks what are my options? Out of warranty repair? Buy another Wii U system? Just make one available as a spare. As for multiple gamepad gameplay, it would have been nice if they incorporated this in MK8 where each gamepad can have each own tv off screen play? Where a TV is no longer required. This makes me sad. I was hoping they would announce Splatoon as the leader in dual Gamepad support. I am still very interested in that game, but my hype would be 10 times what it is if I knew I could play online with my wife on my same team sitting next to me on the couch. That's how I prefer to play Halo or Call of Duty when I'm with friends, and that's how I'd MUCH prefer to play Splatoon. I like the real human interaction mixed with my online gaming. And it seems like a game that would lose too much, if they decided to allow a second player to use the Pro Controller instead. The real-time map and touch screen teleporting will be critical aspects of the gameplay. "if they barely have ideas for one Gamepad, then imagine having two"
That's the thing, I think it's a lot easier to come up w/ ideas for 2 Gamepads than 1. Have you seen the video for Kirby's Rainbow Curse? It looks like the entire game is built on drawing on the screen. And it looks like every other co-op couch 2D platformer game Nitnedo has made - so what do they do w/o a 2nd Gamepad, make it a solo game on the 3DS? Did you play W101? It had multiplayer using the Pro, though the game was entirely designed around drawing on the screen, so that needs to get patched in. They just patched touch into Pikmin 3, which is almost as fun, if not more so, as a 2 player than a 1 player game, so if they added in 2 Gamepads for rmultiplayer it would be even better. Games w/ 2 Gamepads isn't the problem, it's simply the cost as you said. I get that, but w/ the future line-up of games - Splatoon, giant robot fighting and amiibo toys - I think the cost is becoming necessary. Oh, and to further the cost/benefit scenario Nitneod should drop the IR tv port and the TVii button as most of the world never got the TVii thing anyway. And what they should do is stick a Wi-Fi chip into the Gamepad and advertise non-game support for Miiverse, eShop, Netflix, Hulu Plus, Youtube, the internet, Video Chat (how much advertising does that get?) etc so people can think they are spending $100 on a whole house tablet like device. A lot of people in the US live in homes and the specialized game specific chip Nintendo is using doesn't have very good range. My Wii U is in the basement and I can't take the Gamepad upstairs and still be connected. Which is nonsense b/c my wireless router is up on the 2nd floor yet the Wii U and PS3 can receive the wireless signal. I get lag is bad for gaming but not all that other stuff the Wii U can do. It would actually give Nintendo an excuse to market all of it's internet capable abilities w/ a new "long range" Gamepad. They just have to be clear it isn't for gaming, just other stuff. OK, think I'm done. Oh no, kitten just showed up on my deck, that's not good (just off topic). Not only would a 2nd gamepad be awesome,but no one would buy it. The games that may support it would suffer frame rate drop.Its a shame because wiiu has so much potential.But you cant build a house off potential. Nintendo sells new gamepads through N support for a cool 130usd.. I dont see people buying an " Accessory" at that price. I wanted a spare gamepad for the kids to use.I settled on a wiiu for downstairs.. I just want them for sale separately so I can change mine at some point down the road. (The price Nintendo support charges is the equivalent of double the Japanese Retail price - presuming I did the sums right when I was looking at it). Not soon? Well there goes my hopes after see those two gamepads side by side. But seriously. It's been almost two years and the main controller for the system can only have one attached. This should have been something they should have done at launch or had been heavily working on since launch. @rjejr How about new Pro controllers with smaller screens... each could be 1/4 the resolution of the original GamePad so there would be no performance problems if you use 4. Of course, the screen would be less useful, too. I think your ideas sound good, although most of them just use the second Gamepad as that, another controller with touch screen, as opposed to say, one player doing one thing and the other player doing a second thing while the rest do a third thing with the wiimotes or pro controllers. And yes, I played W101. 100+ hours of it and I am missing some stuff. It still baffles me how many people in this website never gave the game a chance, or got turned off by the demo. I am very tempted to put it above 3D World and MK8 in my list of best Wii U games. That is why Scalebound made me consider a One instead of a 4. I think we will see multi screen gaming with the next generation of console and handheld. Fusion cometh! It would be nice if they enabled Game Boy Advance multiplayer for Virtual Console. Each person could use its own GamePad, like if they were 2 Game Boy Advance systems. I would certainly love to see dual Gamepads and had been thinking it would happen since Reggie announced that it would happen (I think back in 2012). I even bought a second Gamepad charger in anticipation. But at this point, the Wii U has a fairly strong library of it's biggest games. Sure Smash is yet to come, but likely will release pre-dual Gamepads. Mario Kart wouldn't support it without a patch. We already have Mario 3D World that would likely not support it and so really what would support it? I think Nintendo should stick to developing the titles they are working on and save the dual Gamepad option for a later patch for many games and or new content post Zelda Wii U.
I think Starfox would be the perfect first game to use 2 gamepads at once. F-Zero could use 2 gamepads, but we don't even know for sure if it's in development. @Olmectron I know you can't see me, but I'm throwing my wallet at the screen repeatedly and yelling shut up take my money. Eh. Well, that one missed the "throwing my wallet at the screen" part. They should make a tech demo and sell it for $10. Kinda like Wii Play. Why not? @sinalefa That's nice to hear about W101. I own it but haven't played it yet. So... How much would an extra Gamepad cost? I had a home accident once, and broke the Gamepad's screen. Had to get a new one, because the LCD screen enden up with 80% of dead pixels. It cost me 80.000 chilean pesos (around 190 US Dolars), so do the math. Also, I read on some other website that, when synchronizing two Gamepads, the frame rate would drop to 30Fps. I don't know how they're going to solve those issues.... They must figure out a way to boost the system and make Wii U more powerful to support two Gamepads at once. I'm not even in to sports games that much, but it's an easy no brainer to have 2 gamepads with a football game, with 2 players, having plays on the gamepad screens, not the main TV screen. I'm interested in seeing what comes out of the dual gameplay concept. Multiplayer off-TV? Sweet. I would love to have 2 gamepads hooked up to my Wii U, when the first battery dies after a couple hours I can pick up the 2nd one and keep gaming!! Hard to get 2 Gamepads when we're not even using the 1 we already have. @Drac_Mazoku : Well yes! I agree with you: it would be nice to have a "limited edition" gamepad to buy, or for those that have a weared gamepad and wants a new one.. etc etc.. The only thing I can really imagine is possibilities for GBA VC multiplayer (which they should do anyway as one player can use the gamepad and another use the TV...) Honestly, as others have said, the ability to buy a replacement pad would be the better news. I suppose if it came down to it, I could just old-school it and bring my pad to my friends if this ever comes to pass to try it out, Nintendo has a lot of surreal ideas that I don't get until I actually try it. @sinalefa Haha, I didn't have to say anything. You had it covered, I see. @Blue-Thunder Have they not? I find that strange. Also weird is that the white one always seems to be more expensive than the black, wherever one does find them. Surprising that Mahe hasn't verbally vandalised the comments here, yet. I'd love to be able to connect multiple gamepads just for the gameplay possibilities it would open up for Splatoon. I would think now that a second gamepad for the WiiU will just not happen, more like they are working on that idea for their next system, prob 3 or even 4 gamepads at once on the wii 3. If sales of wii u's don't go up dramatically in the next year we will probably never see duel game pad play. Before it happens, nintendo will try its best to do better with a new generation of systems. If they go the modular route and make the portable hot pluggable to the console, this entire gamepad scenario will play out very different. I'd like to see a Wii U mini with a smaller 3ds-sized gamepad. I think the initial clunkinness of the gamepad puts some people off. Like others have said, Nintendo really should focus on the single GamePad they have now. I do love the GamePad and it's one of my favorite controllers, but Nintendo's main priority should be capitalizing its potential, not worrying about dual support. Although, it would be nice if Nintendo started selling extra GamePads in stores. I have three younger siblings and you know how that can be. So far our GamePad has survived (we've had our Wii U since launch) but it's taken several minor beatings (the most extreme would be my accidentally dropping it on the corner of a wooden bench to reach over and turn a lamp on). It would be nice to have a spare GamePad on hand. Any local multiplayer is better when it doesn't involve splitscreen and everybody has the same controls. So many things that would be better in two player with a Gamepad each. I'ld considered shrinking it down as well, the original Gameboy Advance screens were pretty small (2.9", less than 1/2 the Gamepad) - can't imagine playing Advance Wars on those but people did - and the DS and 3DS screens are pretty small yet somehow people game on those. I wouldn't go that small, maybe just an inch to 5.2, which would shrink the entire thing, making it lighter, making it more kid friendly for a 2nd player. This is funny because zero-gamepad support is the only thing that could possibly convince me to buy a Wii U. @sinalefa - "That is why Scalebound made me consider a One instead of a 4." Though Puppeter didn't fair much better so who knows? I would love if they released an adapter that would plug into the bottom of the gamepad and connected to a TV via HDMI. That would allow you to play Wii U in a 2nd room on the big screen. The resolution wouldn't be up to par with the TV connected directly to the console but the games would certainly be playable. That would convince me to buy an extra gamepad. What else could they be planning for that EXT slot on the gamepad? Nintendo have not convinced all Wii u owners that they should have had one gamepad let along two. @rjejr "Oh, and to further the cost/benefit scenario Nitneod should drop the IR tv port and the TVii button as most of the world never got the TVii thing anyway." It is the 'TV' button, not the 'TVii' button. Huge difference here because pressing the 'TV' button has no correlation to anything to do with the TVii app. It launches a built in "remote layout" of sorts over whatever image currently displaying on the GamePad and essentially turns the controls 'off' for the game and makes the Pad act as a remote until you exit out of the overlay. The TV button and IR blaster has been put to great use in my cases. I'd hate if it were removed. I'm guessing the reason Mario Kart 8 doesn't offer separate screens/streams to gamepad and tv (what possible reason would Ninty have for not including this) as opposed to the tv mirroring they opted for, is that the Wii U simply isn't capable of pumping out separate streams of Mario Kart. For the first time we have 2 separate screens (something I've wanted since the SNES game).... And Ninty decide to give us split screen on an already small gamepad display. Baffling. In regards to the performance hit the system would take when implementing a 2nd GamePad.... I've oftne wondered why Nintendo decided to hardline dedicate 1 GB of RAM to systems and 1GB of RAM to games. Take my Android phone for instance, it als ohas 2GB of RAM. But that RAM can and is used in a variety of ways across all kinds of applications and system processes due to the nature of Android. If Nintendo's developers can somehow free up the 2GB of RAM in the Wii U to be smarter and manage itself accordingly depending on what it is you're trying to do with a multi-tasking console I wonder if the system could 'appear' to be more technically advanced than it is right now (a.k.a. handle 2 GamePad streams at 60fps). I agree with gatorboi, the "TV" button is really unique and I'm glad it is on the gamepad. I just wish they put more effort into expanding it's idea rather than the dismal "TVii" feature. @gatorboi352 - "The TV button and IR blaster has been put to great use in my cases. I'd hate if it were removed." hmm, I thought they were related, but reading your comment makes me realize otherwise. I never use the TV button, or TVii. I bought a Samsung Galaxy Tab 2 a few years ago b/c it had IR and a tv controlling app. Tried using it a few times but it's worthless. When the first rumors in the wild about Wii U were talking about screens on controllers I imagined EACH controller having a screen. The possibilities would be great for all sorts of uses. Price, performance and all that, of course are a problem. Here's a thinking-outside-the-box idea: How about one of those clamp style controllers that you can add to a smart phone or tablet? But this one is Nintendo branded so has the same basic button layout as GamePad. The real addition here, however, is complete integration with Wii U. Through an app and radio hardware in the accessory It can stream and have video streamed to it like the GamePad, it also has the NFC capabilities. The best part is it can run apps with the processor onboard the mobile device: Nintendo-made apps that only work with Wii U games. Now you can offload the processing to the mobile device (that everyone has anyway). Maybe Nintendo could even start virtual console gaming on those devices only when using the Nintendo Clamp. You'd still have to buy games via the Wii U or 3DS so as not to diminish their value. That's much less likely though. I love that little TV button as well, but I really wish they would update the audio to allow for controlling a separate device. I have an old receiver for audio with the TV and anybody who cares about sound --gamers should!-- would have a similar setup to avoid using tiny tinny speakers built into the ever diminishing frames of TV sets. @rjejr again: The TV button is just simple. Once configured, when you want to play the only device you have to grab is the GamePad. The TV button switches the remote screen on almost instantly and you can turn the TV on and switch the input without looking for another remote. If you use your TV speakers for sound you can also change the volume. It's nice and simple but useful. You know what @rjejr? We are going to have to wait for the next generation Nintendo devices. I think some combination of portable device and console that uses the portable as the controller could really benefit the next generation. We already know the hardware teams are working together and Nintendo is working on a unified platform for the next generation so programming for each device isn't completely different. Now imagine if there was a new portable that was made from the start to have bulky ergonomic grips that are removable. The purpose is to make it as nice as a regular controller for a console. In fact, the main controller for the next console IS the portable. You can then connect many other portable devices to the new console and each is a controller with not only a screen and the right hardware to quickly communicate with the console, but a processor and GPU for playing games, of course! Now, it could still stream from the new console when needed or convenient for much better graphics, too. Then, there could be the expectation that almost every game has a portable mode of some kind. It wouldn't be too challenging for developers either as programming for the console and the portable won't be as different as it is today. The value would be much more immediately seen by consumers as well. "Wait, I can take that with me and it's like a 3DS this time?" From the 3DS fan's perspective it's also a boon: I can get the console and see all my games on the big screen, because, yes, it should do that, too. Any game made for the portable first, should also either have a companion download game, or at least a way to play the game in high resolution on the big screen even if the textures and effects are limited by the storage and specs of the small device (remember it can stream to the console like the GamePad does). I really hope this is what Nintendo has in mind actually. There are many pitfalls in attempting something like this, but this isn't just pie-in-the-sky thinking. The tech is there, it's just a matter of balancing out the specs, the battery life, the features that every part needs and especially the costs. The biggest question mark for me would be the console that comes with the portable. The price could be prohibitive. If you take away the GamePad the Wii U would be about $200 at least and the 3DS XL $200. That's $400. Would Nintendo risk that consumers would get the utility of the portable this time? Maybe the portable could release first (probably would right?) and then there would be an edition of the console that comes with the grips for the portable but you supply your own. That would be the best excuse for 2 separate SKUs I've seen, actually. Nintendo would have to make the only primary controller the portable itself, though. If you didn't then you'd have limited support with the console games and it would derail the whole thing. I barely see the purpose of one gamepad at the moment. Two just seems excessive. The handheld would come first as Wii U is only 18 months old but 3DS is 3 yrs. And the 3DS follow-up - 4DU - could serve as a Wii U controller so they never need to sell a separate Gamepad. Of course I'm still not sure why Nintnedo made the Wii U anyway - 2D and 3D Mario, MK, SSB, Zelda all on the 3DS - so my saying just make a 4DU w/ a home base that serves as a portal for multiplayer isn't really much of a stretch. My household has three 3DS, if they made a 3DS XL w/ tv out we'ld have 4 and I'ld trade in my Wii U to get it. If the 3DS XL only played on the tv thru the Wii U I'ld keep the Wii U though. Heck I would have brought a crappy 2DS to play games on my 52" 1080p tv w/ 5.1 surround, reolution adn sound be damned. BTW - Sony seems to be leaning towards the Vita being a remote PS4 game player, and Amazon has FireTV for tablet app games on tv, so it only makes sense Nintendo follows suit. To be clear, my idea isn't about removing the console or making it just a "home base". The hardware specs are already lagging behind for the sake of value in the console, I'd hate to see it lag all the way back to what you can afford to carry with you. What I like that you brought up is the next portable system could integrate with the Wii U as is. My hope is that it will be future-looking to match with the next home console in a major way. I guess I just want it all. Problem with tablet/phone gaming is high price and no controller. Problem with 3DS/Vita cramped and tiny/ugly screen. Console isn't portable and split screen play is often limited.